Local market had a slide after flip flopping early in the day. Commodities bounce helped the miners after US Fed, ECB and BOE moved dovish. UK recovery in wages growth and historically low unemployment helps support the economy despite the high inflation and low currency. US Fed tone moved to dovish state as more presidents talking down the need to raise rates while inflation remains weak. US president’s CEO talkfest are getting dismantled as CEOs start to walk away on the back of the president’s response to recent racial/political issues. 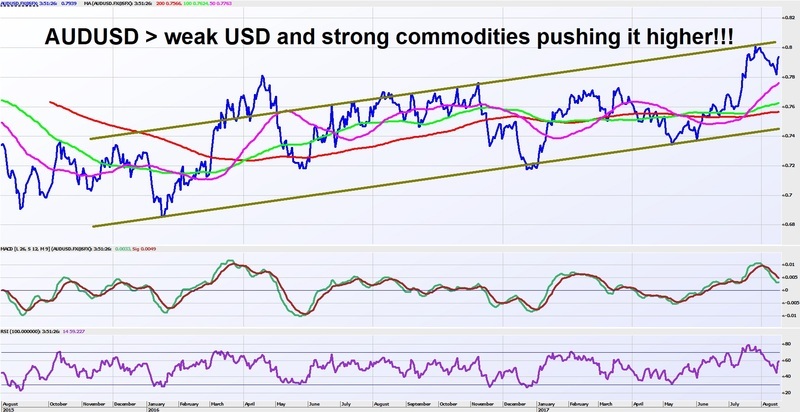 Weaker USD pushed up AUDUSD, gold and commodities. Apart from Iron Ore and Oil, every other commodity had a big bounce. Local market still stuck in the narrow trading range since May…will we see this commodity/currency bounce push it higher? Time will tell. Locally politicians are calling their parents to check if they still have a job while the country remains in auto pilot. Local employment market update further proved that under employment will provide the slack to keep wages growth low despite historically low unemployment. Moving forwards…the reporting season will test valuations…remain nimble as macro risk adds to earnings uncertainty. Local reporting season starting to run…outlook statements, cost out and growth drivers will be key drivers of volatility. The best performing sectors were Gold, Miners and Health Care while the worst performers were Telecom, Utilities and Banks.